This is a fascinating story of Australia’s only aircraft accident for which the aircraft and persons onboard have never been recovered. CFD was used as part of the latest search for a Cessna that disappeared over Barrington Tops in 1981 with five passengers. 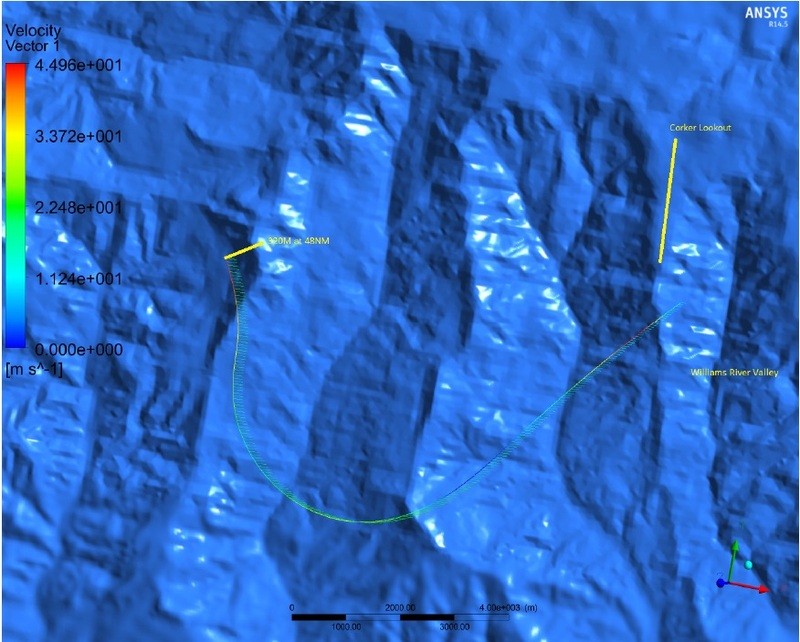 Specifically, CFD simulated the flow over a ridgeline near the aircraft’s last radar fix to further pinpoint where it might have gone down (see image below). The results of the 3-day search (conducted last month) are reported here. If you have even the slightest interest in aviation archeology read the story and watch the video. The MIT campus meshed to a 1 m resolution. Image from the paper cited below. MIT prefers facts to urban legends so they used CFD to validate anecdotes of campus locations with unusually high winds at pedestrian level. Use of CD-adapco’s CFD tools was one method used by SmartTruck to reduce fuel consumption by 7% through undercarriage drag reduction. At Lloyd’s Register’s Global Technology Centre in Singapore, CFD will be used to simulate “wave-in-deck” and other extreme oceanography events and their effects on offshore platforms. Tridiagonal Solutions was awarded Best Paper at ANSYS’ Convergence Conference 2013 for their work on CFD Modeling of Monolith Catalytic Converter. The World Series is over but there’s still time to model a curve ball using CFD as was done by Convergent Science and published in Popular Science. 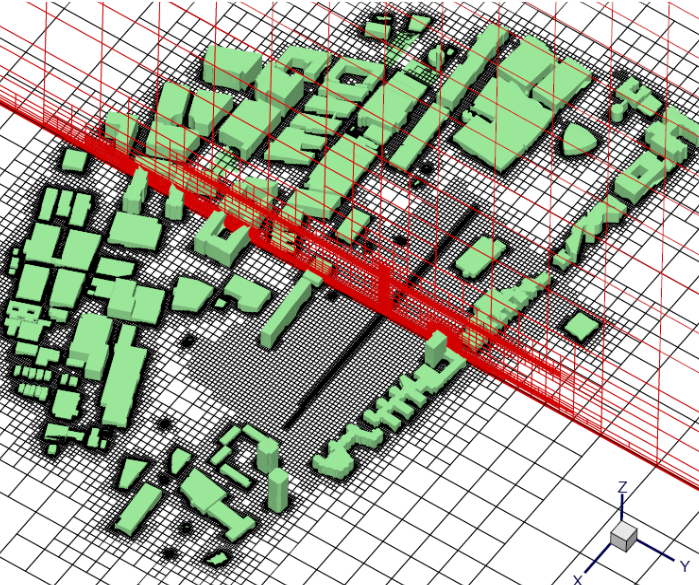 Data Center Journal presents an overview of the use of CFD for datacenters. CFD as applied to the mystery of Cessna VH-MDX. See write-up above. The FDA announced Computational Round Robin #2, a benchmark CFD study of a notional centrifugal blood pump. This is part of their Critical Path Initiative. Results are due 31 July 2014 and all the details are at the first link above. Geometry of the blood pump as imported into Pointwise. 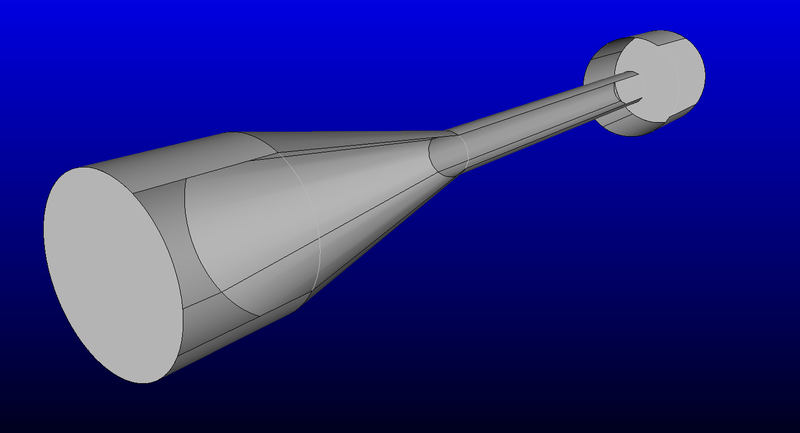 The FDA’s Computational Round Robin #1 involving CFD studies of a simple nozzle was completed in 2009. All of the results can be found here. 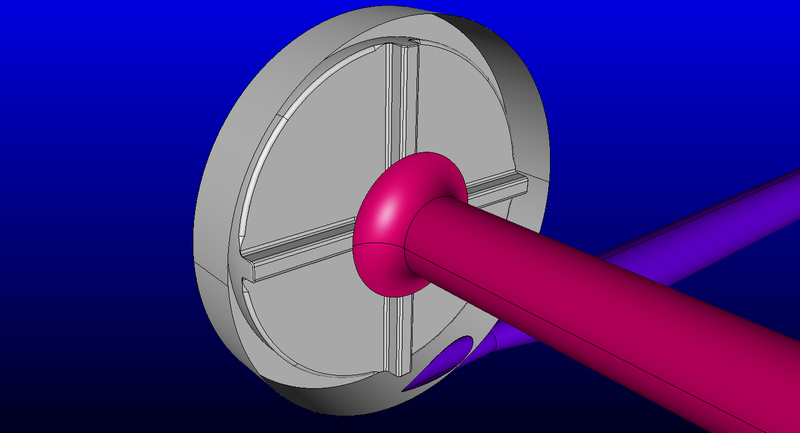 FDA nozzle benchmark geometry as imported into Pointwise. You have just about one month to prepare and submit your 100-200 word abstract for the STAR Global Conference 2014. CD-adapco’s event is themed around “simulating systems” so your abstract should probably address that theme. If your abstract is accepted, your final presentation is due 28 Feb 2014. Flow Science has made the proceedings of their 2013 FLOW-3D World Users Conference available for download (registration required). I liked their presentation on user interface improvements for mesh checking and the introduction of FlowSight (based on EnSight). Video of a FLOW-3D simulation of dam discharge. Click image to play video. CD-adapco released STAR-CCM+ v8.06 which includes a simulation assistant for new users, STAR-SpaceClaim for CAD interoperability, multi-phase flow improvements, and speed-up of their discrete element method. Exa released PowerDELTA v2.0 which now includes their PowerCLAY mesh morphing tool. More CFD in the cloud, this time from Hibou Scientific Software. Introducing CFD Wind Analysis on Demand for pedestrian wind comfort assessment, pollution dispersion and wind turbine siting. The director of CFD consulting at Rand Worldwide (i.e. IMAGINiT), Jason Pfeiffer, shares his thoughts on improving design with CFD. Notable comment on outsourcing your CFD – if the answer to any of the following is “no” you ought to outsource. Do you have a dedicated user? Is there a high volume of new product development? LearnCAx has a series of articles on programming in OpenGL including shading, selection, and interaction. Chrysler wants to hire a CFD Engineer for their Auburn Hills, Michigan location. In an article on meshing for linear static finite element problems, COMSOL shares these factoids. When using linear elements, use at least eight elements on a 90 degree arc. However, elements with one mid-side node can cover 90 degrees with only two elements. In the limit of mesh refinement, solution error can typically only be as small as 10-6. 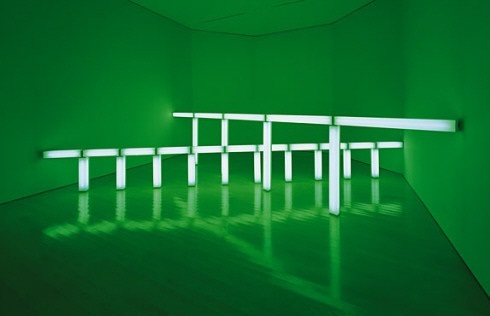 The heading above is stolen directly from a recent post on the Modern Art Notes blog where Tyler Green discusses “artists, especially wildly disparate artists, thinking about or examining similar things.” See how he starts from a viaduct design, ties in Richard Serra (whose Vortex is installed outside the the Modern Art Museum of Fort Worth), to Dan Flavin (below), a bridge between Essen and Dusseldorf and Gerhard Richter (also in the MAMFW collection). I can’t help but be reminded of Franz Kline’s paintings. But I’ll let you Google those yourself. This entry was posted in Applications, Events, News, Software and tagged CD-adapco, Convergent Science, EnSight, Exa, Flow Science, FLOW-3D, HibouSoftware, IMAGINiT, jobs, meshing, Pointwise, TYCHO. Bookmark the permalink. Thanks for the updated FDA story including PW images, John.